Historic, charming cottage surrounded by 75 quiet acres near the Pennsylvania Grand Canyon and area attractions. Sleeps 10, fully-equipped kitchen, bath, linens provided, free wifi. Large pond for fishing and swimming. 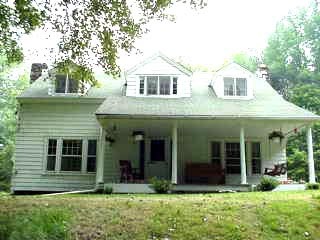 Located nine miles west of Wellsboro off Route 6.